This Adler J5 was made in Germany. 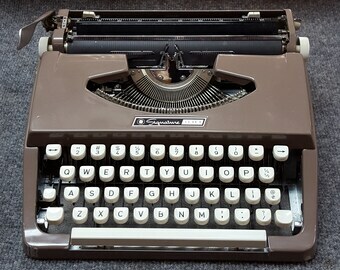 Well know for quality typewriters. This typewriter is in great condition, very smooth. The case around the typewriter is plastic, it has some color issues, fading, and what not. 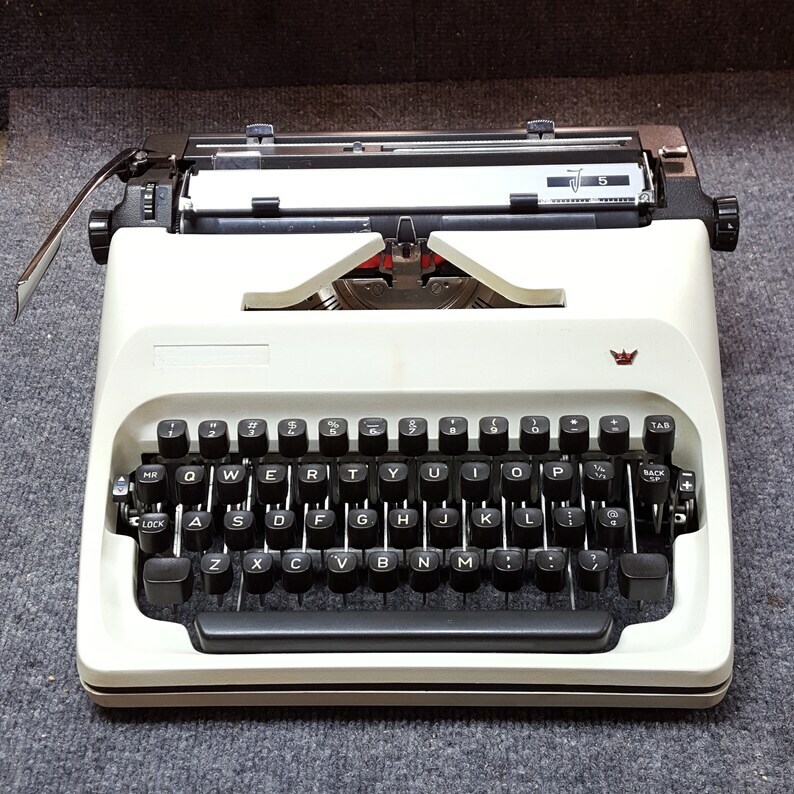 This typewriter is in original condition, not restored. Typeface is viewable in pics, Do not have key for case, great for decor.